It was Aug. 17, 2009 — just over four years ago. The location was Siberia, at the sixth largest hydro-dam in the world. It’s a place called Sayano-Shushenskaya. The tips of the turbine that the witness saw spinning moved at near-supersonic speed, generating 475 megawatts of power. That’s enough electricity to light up a city of more than half a million people. And then the entire device blew straight up, right out of its housing. Sayano-Shushenskaya main turbine hall (after). Reuters/IEEE Photo. Generator rotor housing and upper bearings, post-disaster. Reuters/IEEE Photo. Within moments, the death toll at Sayano-Shushenskaya was 75. The entire hydro-dam electrical output, totaling 6,400 megawatts — about the equivalent of three nuclear power plants — went offline, representing an immediate loss of over 10% of the power in the Russian Far East. 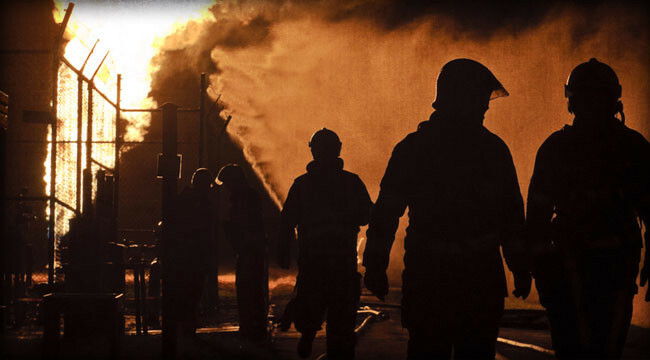 The cost to repair the damage is over $3 billion, and still rising. Even now, four years later, this hydro-dam is not back up and running. So… what happened? 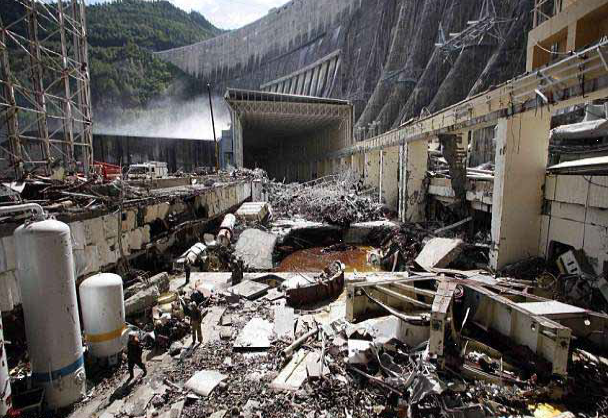 According to an official Russian report — which is now unavailable to all but those with special access — the hydro-dam calamity was primarily caused by turbine vibrations that led to “fatigue damage” to the mountings of Turbine No. 2, including its cover. In fact, per the Russian report, at the moment of failure at least six nuts were missing from the hold-down bolts securing the turbine cover. 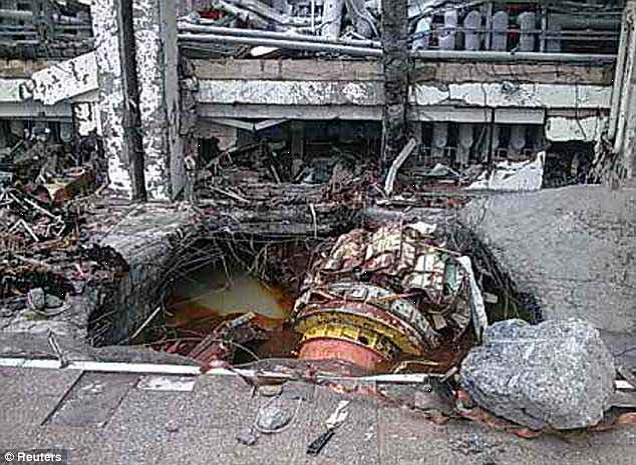 Of interest, however, about two weeks after the event, terrorists in Chechnya took credit for sabotaging the Sayano-Shushenskaya power complex. The Russians immediately branded this as a flat-out lie. Still, there’s more to the story. According to Gen. Keith Alexander, head of the U.S. National Security Agency, a power grid operator nearly 500 miles away sent a rogue command to the Sayano-Shushenskaya hydro-dam control complex. Basically, the grid managers who control the Siberian region wanted more electricity in the wires to meet the load. 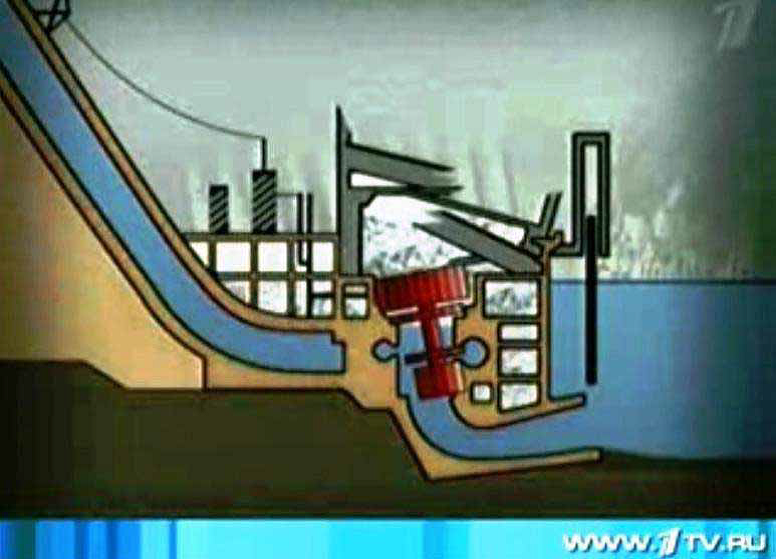 Increased water flow knocked the hydro-turbine from its mountings. TV.Ru/IEEE Photo. 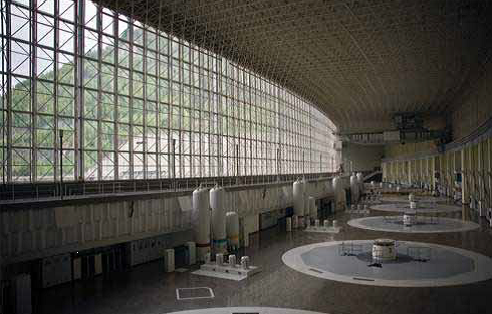 The point to keep in mind is that the Sayano-Shushenskaya hydro-dam disaster was a cyberattack. You can characterize it as an accident in the nature of “friendly fire.” But overall, this cascading wave of destruction was triggered by a bad computer command. According to Gen. Alexander, Sayano-Shushenskaya demonstrates the immense scope of destruction that can come from cyberattacks. Indeed, per Gen. Alexander, only nuclear bombs and other weapons of mass destruction can cause more damage, faster, over wider areas. It’s worth recalling Sayano-Shushenskaya because it — or something like it — may soon come to a location near you. In fact, this week, the departing secretary of Homeland Security, Janet Napolitano, issued a stark warning. The U.S. must move quickly and prepare for an inevitable large-scale cyberattack. Napolitano said that the U.S. possesses the ability to thwart cyberattacks. However, our enemies are also evolving, and the day-to-day threat is far from eliminated. Ed. Note: With all this in mind, it’s fair to say that cyberdefense is a growing arena for investment. Byron King offered readers of The Daily Reckoning email edition an opportunity to learn specific ways to invest in this arena… and all the potential profits that go along with it. If you’re not getting The Daily Reckoning email, you’re not getting the full story. Click here now, to sign up for free.